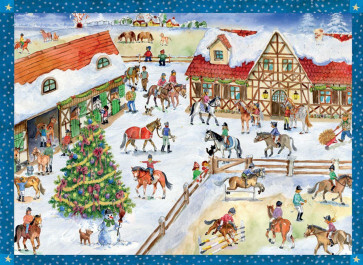 If you like horses and Christmas then this calendar is definitely a must for you! 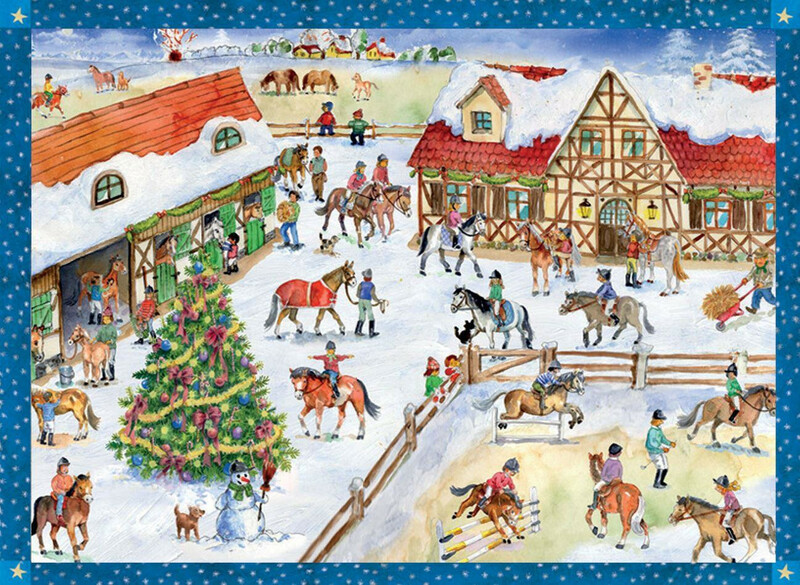 A fabulous snowy scene at the stables and riding school. Embellished with glitter it's perfect to add some sparkle to your Christmas build up. 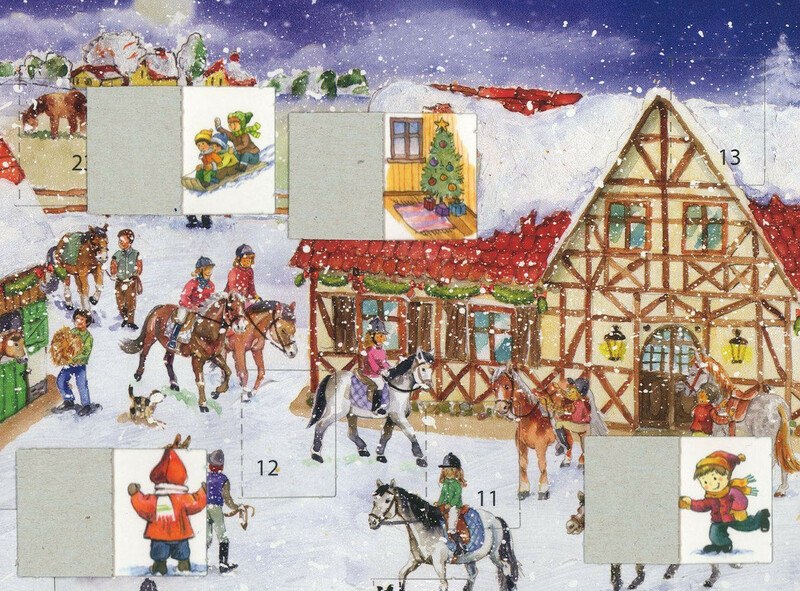 Alternatively, pop the calendar in the envelope provided to spread the good horsey cheer to a friend!